As an adult student, you have gathered experiences, knowledge and skills during your life and work experiences. RCTC honors your learning outside the classroom and has processes to help identify and document this learning and to grant college credits. Prior learning is a way to reduce tuition costs and can shorten the time it takes students to earn a college certificate, diploma, or degree. Our average student applying for prior learning earns 6 credits, with many earning 12 or more. To find out more information regarding credit for prior learning options at RCTC to help you reach your academic goals, click on the link “Options for Earning Credit”. CPL Self-Assessment: Is CPL Right for Me? Required: I am a fully admitted student to RCTC. If you’re not, start the process by Applying Today. Have I had 2 or more years of experience in the field related to the subject area? Have I held a formal or informal leadership role in my work/volunteer experiences? Can I demonstrate the knowledge gained from my work/volunteer experiences? Did I participate in several community or volunteer experiences related to the subject area? Have I reviewed and understand the learning outcomes for the course? 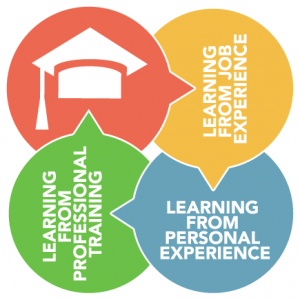 Can I differentiate what I have learned from my life and work experiences and organize my learning in the framework of the course learning outcomes? Do I have documentation to support my learning such as a resume, letters from supervisors, licensure or certification documents, recorded presentations, examples of work, etc? Is the course required for my major? Did I serve in the armed forces? Do I plan to complete my certificate, diploma or degree at RCTC? If you answered yes to most of the questions above, Credit for Prior Learning may be a good fit for you. Contact one of us to learn more about the pathways for you to earn credit for prior learning.